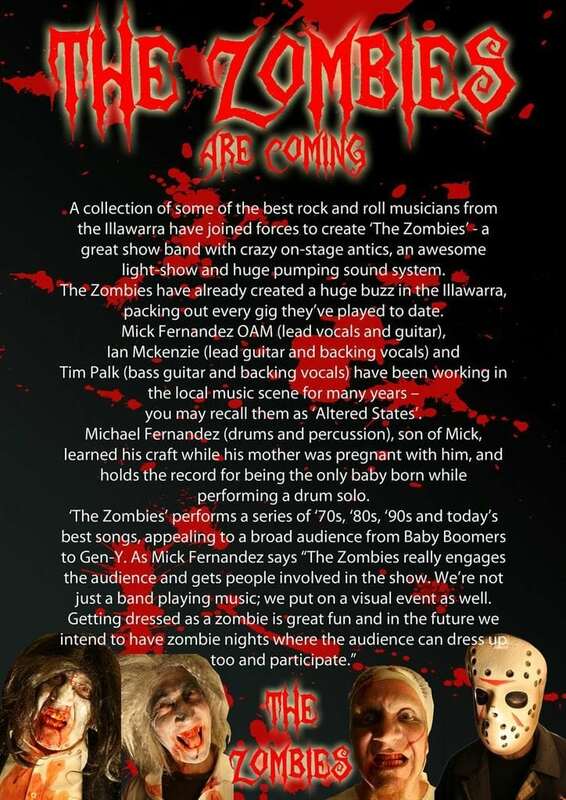 A collection of some of the best Rock n Roll musicians from the Illawarra have joined forces to create the Zombies, a great show band with crazy on-stage antics, an awesome light show and a huge pumping sound system. 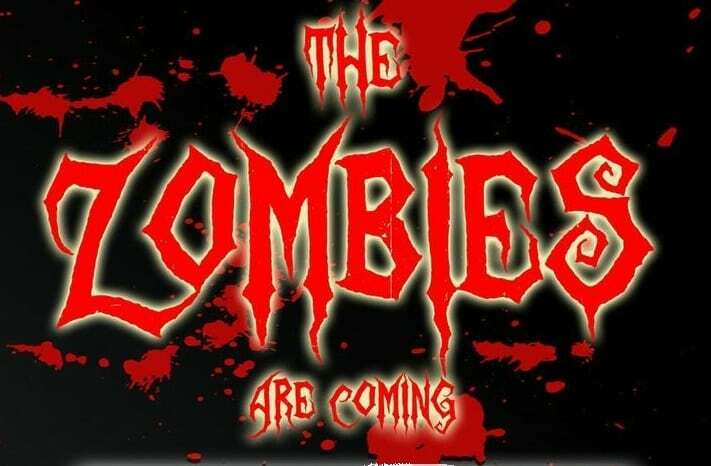 The Zombies have already created a huge buzz in the Illawarra, packing out every gig they’ve played to date. 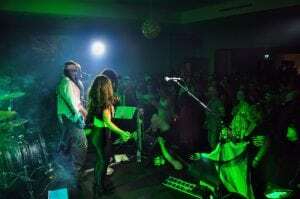 Mick Fernandez OAM (lead vocals and guitar), Ian McKenzie (lead guitar and backing vocals) and Tim Palk (base guitar and backing vocals) have been working in the local music scene for many years – you may recall them as “Altered States”. 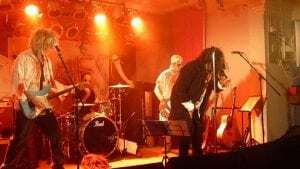 Michael Fernandez (drums and percussion), son of Mick, learned his craft while his mother was pregnant with him and holds the record for being the only baby born while performing a drum solo. The Zombies performs a series of ’70s, ’80s, ’90s and today’s best songs, appealing to a broad audience, from Baby Boomers to Gen-Y. Note: This show will sell out so please get your tickets early to avoid disappointment.